French rabbi; born at Wintzenheim, Upper Alsace, Jan. 2, 1854; died Nov.,1901; educated at the Lycée Colmar, the Paris Rabbinical Seminary, and the Ecole des Hautes-Etudes, where he studied Arabic. 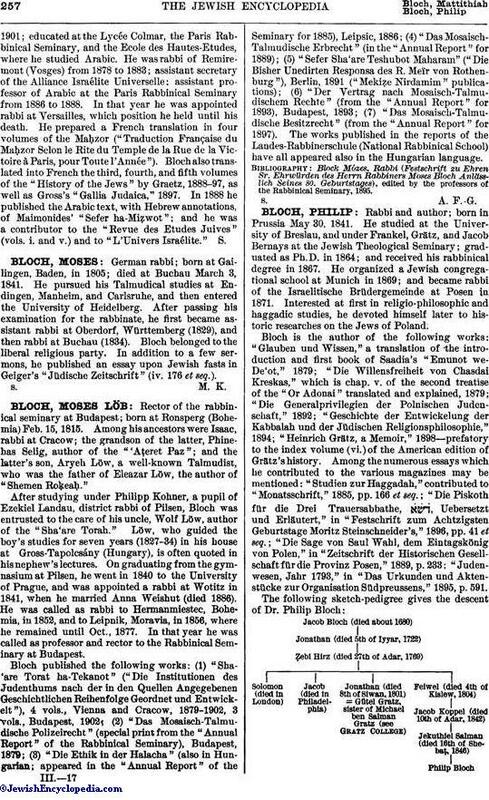 He was rabbi of Remiremont (Vosges) from 1878 to 1883; assistant secretary of the Alliance Israélite Universelle; assistant professor of Arabic at the Paris Rabbinical Seminary from 1886 to 1888. In that year he was appointed rabbi at Versailles, which position he held until his death. He prepared a French translation in four volumes of the Maḥzor ("Traduction Française du Maḥzor Selon le Rite du Temple de la Rue de la Victoire à Paris, pour Toute l'Année"). 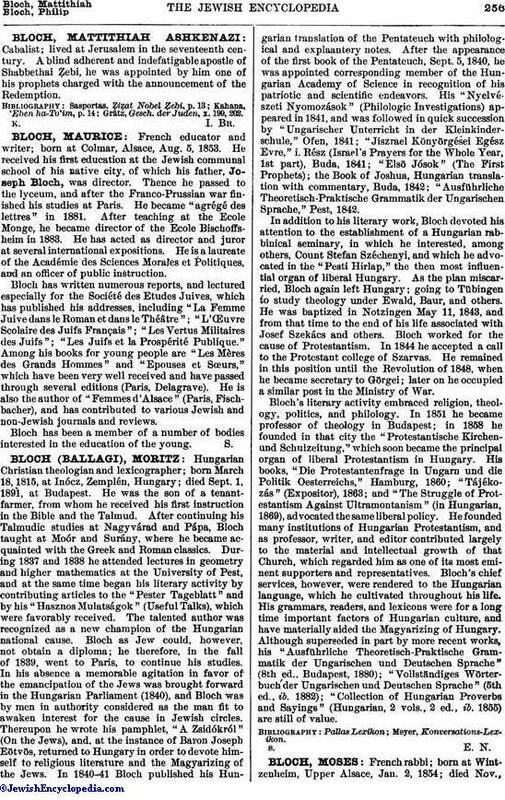 Bloch also translated into French the third, fourth, and fifth volumes of the "History of the Jews" by Graetz, 1888-97, as well as Gross's "Gallia Judaica," 1897. In 1888 he published the Arabic text, with Hebrew annotations, of Maimonides' "Sefer ha-Miẓwot"; and he was a contributor to the "Revue des Etudes Juives" (vols. i. and v.) and to "L'Univers Israélite."